Ever wondered what the color of a lens can do for you in terms of improving your vision for a certain sports activity? Below you can find an easy overview of the most common sports played in the sun and how each lens color affect it’s aspects. Whether you are playing golf or simply taking a run, the ability to see is important in sports. 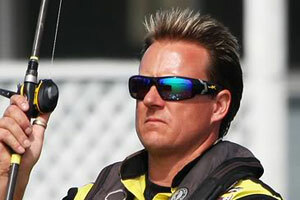 Sunglasses give sportsmen the ability to improve their vision in a variety of conditions. While most don’t realize it, different colored lenses filter out specific spectrums of light, producing different results. There’s a pair of sunglasses right for virtually any weather condition. While it may not be practical to have a few hundred pairs of sunglasses lying around, it is good to get a pair of sunglasses catered to the sport you are playing. Here are a few of the most popular sports played in the sun and the best pair of sunglasses for them. If there’s any game that requires perfect vision clarity, it is golf. Golfers need to be able to see the green to effectively make par. In most cases, golf is played on a sun-drenched course. To combat glare, golfers can go with a pair of sunglasses that have a brown tint. The brown tint reduces glare on water hazards and flat surfaces.Grey is another great option, as it helps to make vision sharper.For cloudier conditions, yellow lenses will improve overall clarity. 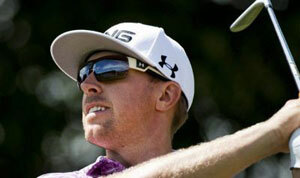 To have all of the bases covered, golfers should invest in polarized glasses. Polarized lenses will reduce glare and make it easier to examine the green. When it comes to style, golfers should aim for something that is comfortable, yet effective. Aviator sunglasses are a popular choice because their large lenses provide great coverage. Alternatively, golfers can go with a sporty frame that keeps the sunglasses snug on the face to ensure that they are comfortable and protected. When running, clearly seeing the terrain in front of you is pivotal. It helps to avoid possible road hazards by allowing you to judge the texture of the road for safe crossing. Runners should look for a pair of sunglasses that improves contrast in their vision. A high contrast lens gives runners the ability to distinguish different terrain types in even low light conditions. Brown lenses are a good choice for improving contrast in most lighting conditions. For night running, runners should consider going with a yellow lens. It is the best at improving contrast in low light conditions. Pink lenses also improve contrast at night, but not as well as yellow. Runners should also find a pair of sunglasses that have large lenses, such as aviators. Having full coverage of the eyes improves vision by removing obstructions from immediate view. Sport frames with curved arms are also a good choice. These types of sunglasses wrap around the head to ensure that they do not fall off. Fishing requires great patience and observational skills. Sunglasses help to improve a fisherman’s abilities by enhancing their vision in different types of water and lighting conditions. Brown lenses are ideal for fishing in shallow waters. The brown filters out blue light, which is more prevalent in shallow waters. Yellow lenses are great for times of the day when natural light is scarce, such as early in the morning. Grey lenses help to improve depth perception, making it easier for fishermen to see well. Colors will be enhanced, allowing fishermen to spot their game in deeper waters. Fishermen should also get polarized lenses to avoid glare. The glare from water can be blinding, so it is good to have protection from it out on the water.It is also recommended to get tough sunglasses that cover a large portion of the face.Goggle style sunglasses are a great option. They cover the entire eye while keeping it safe from flying hooks and other hazards. During a game of tennis, players are exposed to a lot of bright colors, from the balls to the court itself. The main goal of sunglasses in a tennis match is to improve contrast and color perception while providing protection to the player’s eyes. Grey lenses help to reduce the brightness of the court while maintaining the vividness of the colors. Brown lenses enhance color, making bright hues pop amidst the brightness of the sun. For matches played indoors or on cloudy days, yellow lenses will improve contrast. 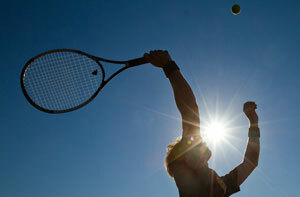 The best choice for tennis players is a pair of sunglasses with polarized lenses catered to enhance the yellow spectrum. This will improve contrast and clarity on the court while making it easier to spot the bright yellow ball. Frame wise, players should go with a sports style that sits tightly on the head. Even sunglasses with straps are recommended to ensure that the agility and movements of the player doesn’t cause the sunglasses to fly off. With anything snow related, such as skiing or snowboarding, it is important to improve contrast and clarity. 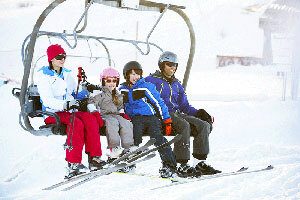 Snow sports tend to go pretty fast, making it even more crucial to be able to distinguish between the snow and the sky. Brown lenses help to improve contrast, giving sportsman the opportunity to spot hills and curves a lot faster than normal. Yellow lenses improve visibility and depth perception. Sportsmen will be able to see changes in the snowy terrain to avoid any danger. Rose lenses will help those wishing to play at dusk or dawn, as they improve contrast for low light conditions. For an all around good pair of sunglasses, guys should look for polarized lenses. They will help to reduce glare while improving contrast a bit. It is also good to get sunglasses made from plastic or polycarbonate to provide extra protection for the eyes. Hard snow and rocks will not damage these types of lenses, keeping the eyes safe from damage.